According to Forbes’ annual rich list, 2016 was a profitable year for the world’s wealthiest individuals. Last year, a record 233 people became billionaires, taking the total number of global billionaires to 2,043. This represents an impressive 13 percent growth on the previous year, and marks the biggest increase in the number of billionaires in the 31-year history of the magazine’s list. 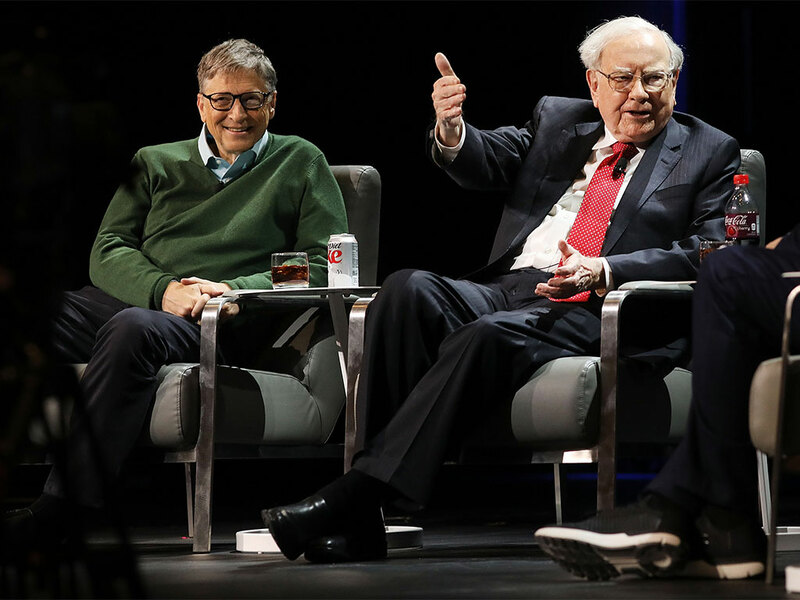 The combined net worth of these wealthy individuals also grew by 18 percent to reach a record $7.67trn.Microsoft co-founder Bill Gates remains the world’s richest man for the fourth consecutive year, with his fortune rising to an incredible $86bn in 2016. Despite donating a large percentage of his personal wealth to fight poverty and disease, the tech mogul earned approximately $11bn over the past 12 months. Taking second place on the list is investor and philanthropist Warren Buffet, whose fortune increased by $14.8bn in 2016. Amazon’s Jeff Bezos had the most profitable year of all, adding $27.6bn to his net worth in just 12 months. However, US President Donald Trump’s fortune took a hit in 2016, falling by $1bn to $3.5bn. As a result, the nation’s first billionaire president has fallen 220 places on the list, coming in at number 544 in the rankings. While Trump has repeatedly refused to publish his tax returns and reveal the extent of his personal fortune, he claimed to be worth in excess of $10bn during his tumultuous election campaign. According to Forbes, the drop in Trump’s wealth can be largely attributed to the sluggish US property market. Among those moving into the billionaire bracket, China recorded the most new ten-figure fortunes, with an impressive 76 newcomers. The US came second with 25 new billionaires. Notable new entries to the list include Patagonia founder Yvon Chouinard, Viking Cruises CEO Torstein Hagen, and Stripe co-founder John Collison, who has become the world’s youngest self-made billionaire at 26. A record 56 self-made female billionaires were included in this year’s list – the highest number that Forbes has ever recorded. All but one of these self-made women are from the Asia-Pacific region, including ten from China. According to Forbes, booming global stock markets and a rise in the price of oil have resulted in significant wealth creation among the rich over the past 12 months. Global markets rallied in the wake of Trump’s election victory, but only time will tell if these favourable conditions will continue amid ongoing global political and economic uncertainty throughout 2017.